For several years cultureNOW has been collecting oral histories by artists, architects, historians, planners, and curators. Here is the large (and growing) collection of podcasts and videos where the artists/ architects live in New York, Boston, San Antonio and New Orleans or have projects located there. 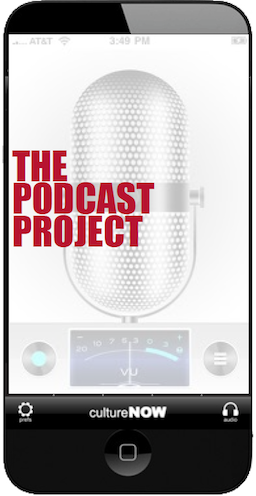 The Podcast Project highlights this collection. Toni Stabile Student Center, Columbia U. Campus Center - Negotiating a "Round Building"
Karen Weber, Executive Director of Foundation for a Green Future, Inc.